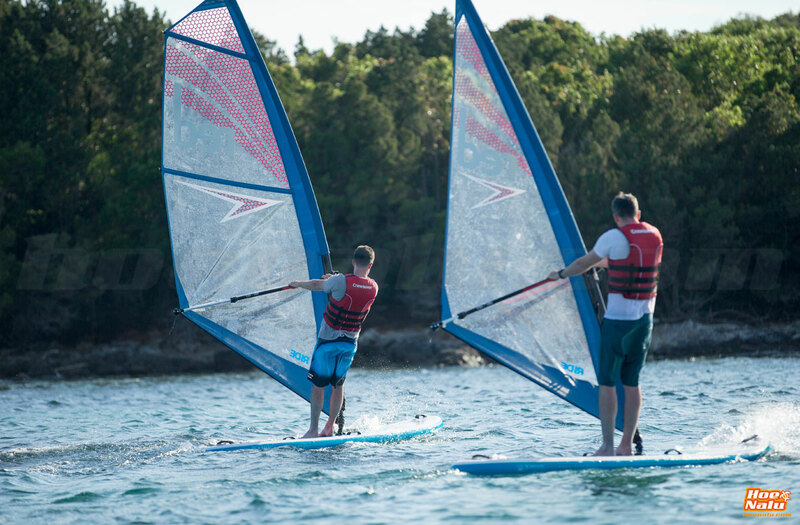 Now you have the opportunity to make even more versatile the Ride of Red Paddle Co by adding a windsurfing rig and enjoying more days of use your SUP board. The Red Paddle Co Ride 10'7"x33" will make you enjoy even more of your SUP Board, which will be even more versatile. You can already mount a rig to your SUP board to enjoy even when a light breeze blows on your beach. This model has a special shape to offer better performance in your WindSUP sessions, in addition to being equipped with a keel system that will improve the behavior of the board when using it with the sail. 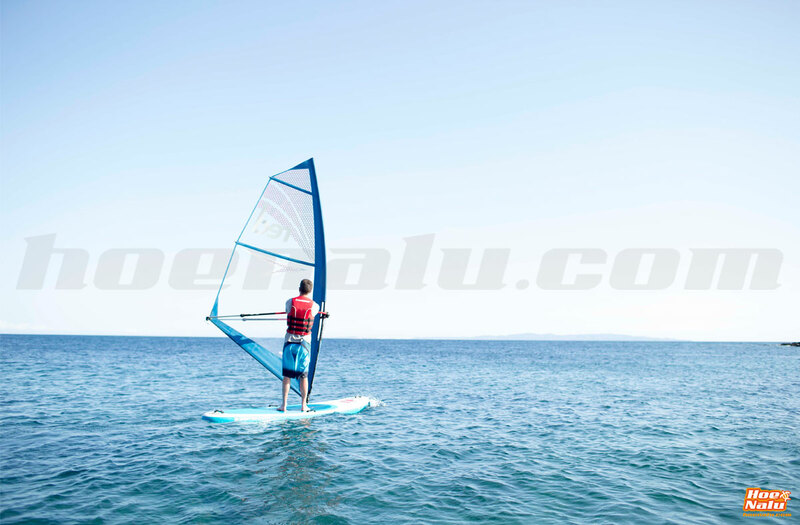 If you are interested in inflatable PaddleSurf boards with insert, you also have the Red Paddle 10'7'' Windsurf MSL. Fins: Two glued IFins keels, 1 US Fin, and a US box Fin box in the center of the board (this fin is not included) to improve windsurfing behavior. 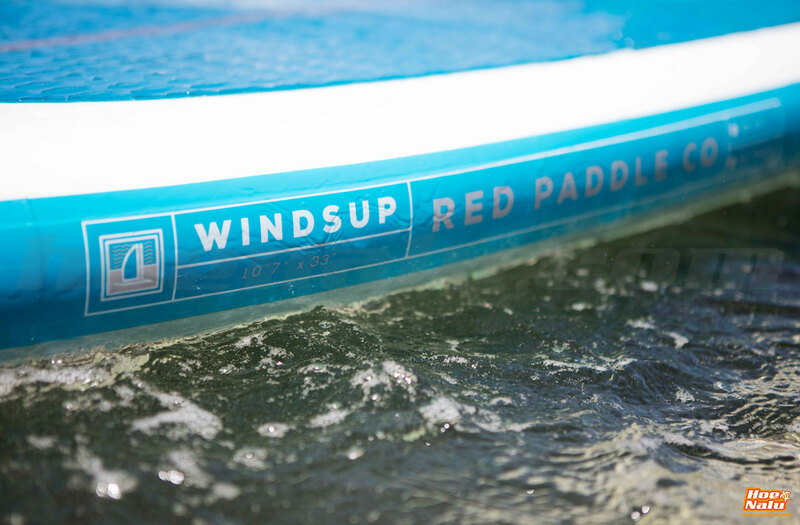 What does the Paddlesurf Red Paddle Co Ride WindSUP 10'7"x33" pack includes? 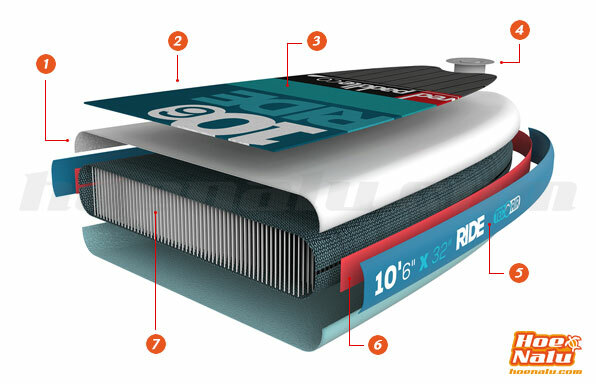 An inflatable board of Stand Up Paddle Red Paddle Co Ride WInd SUP 10´7x33. 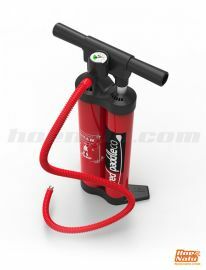 The new air pump Red Paddle Co Titan pump, with combined double cylinder system. Waterproof bag to carry the mobile phone, keys, etc. RSS Batens. The RSS Batens system consists of semi-rigid sabers that we can put if we want when there´s more swell. They are inserted in the sides. The board incorporates the hosting for these RSS Batens. If you put them you increase in a 40% the rigidity of the Board. In 2016, Red Paddle Co introduced new manufacturing processes and construction materials in their inflatable boards. 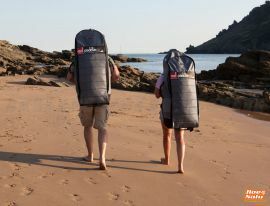 Thanks to this, Red Paddle Co is the most innovative SUP brand in the world, creating lasting, rigid and light boards.